Winter plants help boost the holiday spirit and cozy up a living space. However, pet owners should be extra careful when choosing plants for decorating. There are plants that are very harmful to pets, especially little ones like kittens and puppies. 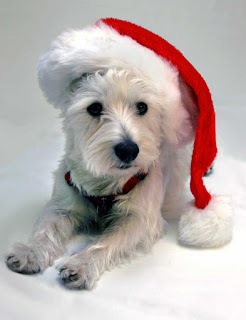 It doesn’t mean though that you should forget about all of the winter holiday flowers and have an artificial Christmas tree only, which can actually create more hazards for pets. 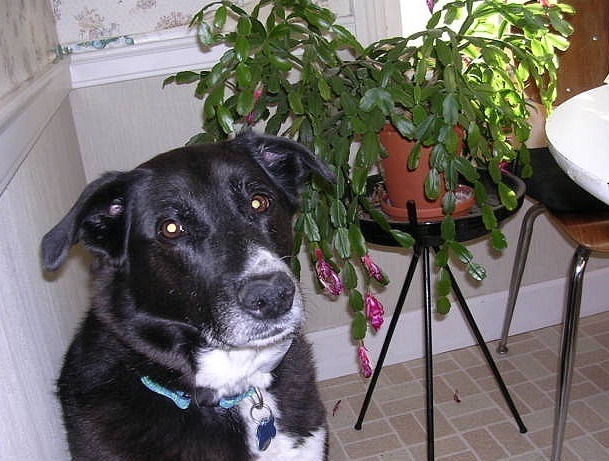 Just don’t let one of these beautiful plants become a deadly enemy to your pet. Flowers and plants add beauty to any holiday, and they make great holiday gifts. But if your family includes dogs, you may want to learn which plants are safe and which ones you need to avoid. Remember that ingesting bulb plants often cause the most severe illnesses. Holly is one of the most popular holiday plants that are used as Christmas decorations. Its berries are bright, beautiful, and festive. Its plants bring greenery into your home. If you have pets, however, this holiday plant can bring a real disaster into your home. The plants and berries have a high toxicity level. Ingesting any part of the plant, even the dried one, can lead to abdominal pain, diarrhea, vomiting, excessive drooling and even death. Keep your pets away from holly to prevent these symptoms. A child can eat 1-2 holly berries without harm, but around 20 berries can cause death, so eating holly berries is a serious concern for children and pets. Though the berries are the part that is most commonly eaten, the bark, leaves, and seeds are toxic. What is the poison? Interestingly enough, it is theobromine, an alkaloid that is related to caffeine. Theobromine is found in chocolate and is toxic to dogs even at the lower concentration, but there is much more of the compound in holly berries. The beautiful poinsettia is not something you want on a salad, but this Euphorbia is not particularly dangerous. If you eat a few leaves, you may feel ill or vomit. Rubbing the sap from the plant into your skin can give you an itchy rash. Beyond that, this plant is unlikely to cause a problem for either humans or pets. The poinsettia plant’s brightly colored leaves contain a sap that is irritating to the tissues of the mouth and esophagus. If the leaves are ingested, they will often cause nausea and vomiting, but it would take a large amount of the plant’s material to cause poisoning, and most animals and children will not eat such a large enough amount because of the irritating taste and feel from the sap. However, if the plant has been treated with a pesticide, your pet could be at risk of becoming ill from ingesting the pesticide. The size of your pet and the amount of ingested plant material will be the determining factors for the severity of the poisoning. Young animals - puppies and kittens - are at the highest risk. Severe reactions to the plant or to the pesticide it has been treated with include seizures, coma, and in some cases, death. Despite being incredibly beautiful, amaryllis is also extremely toxic. The beauty of the flowering Amaryllis is matched by its toxicity. The Amaryllis contains Lycorine and other noxious substances, which cause salivation, gastrointestinal abnormalities like vomiting, diarrhea, decreased appetite, and abdominal pain, lethargy, and tremors in both cats and dogs. The bulb of the plant is reputed to be even more dangerous than the flowers and stalk. Christmas cactus is a great gift and a beautiful holiday decoration. Many people grow Christmas cacti as house plants. When you have a pet, it’s better to hide this plant as far as possible. Even though ingesting any part of the holiday cactus won’t lead to death, vomiting and diarrhea are unavoidable. Mistletoe contains toxic substances like pharatoxin viscumin and toxalbumin that are extremely dangerous to cats and dogs. The plant and its berries can cause breathing problems, a sudden drop in blood pressure, vomiting, diarrhea, hallucinations, seizures and sometimes death. Be it fresh or dried, make sure your pet doesn’t have access to this plant. Mistletoe contains multiple substances that are toxic to both dogs and cats, including toxalbumin and pharatoxin viscumin . Mistletoe is well known for causing severe intestinal upset, as well as a sudden and severe drop in blood pressure, breathing problems, and even hallucinations . If a large enough amount of these plants are ingested, seizures and death may follow. The leaves and berries of holly and mistletoe plants, even the dried plants, should be kept well out of your pet's reach, or kept out of the home altogether. This isn’t a plant, but fresh Christmas trees like fir trees are dangerous to pets too. There are other dangers to consider with the good ol' Yule tree other than lights and ornaments. 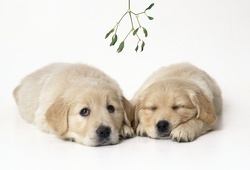 The oils produced by fir trees can be irritating to a pet's mouth and stomach, causing excessive vomiting or drooling. The tree needles, meanwhile, may cause gastrointestinal irritation, obstruction and puncture. The needles cause obstruction and puncture and in many cases gastrointestinal irritation. Sure, it doesn’t mean you shouldn’t have a Christmas tree or opt for a fake one. 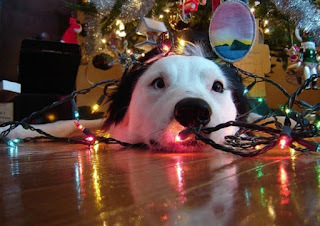 Just don’t let your curious pet spend time around your Christmas tree alone.